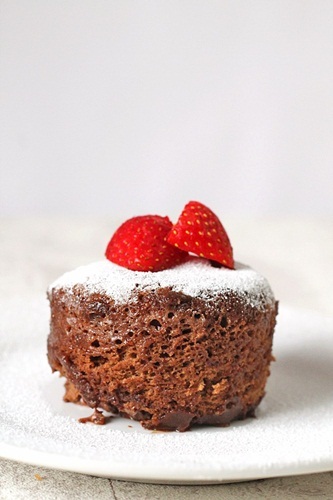 Treat in a Jiffy: Nutella Microwave Mug Cake! Microwave mug cakes aren’t really the stuff of glossy foodie magazines – nor do they pack a particularly nutritional punch; but they’ve two endearing qualities that keep them ever-popular: quick-to-make, and ooey-gooey-delicious. In short, these speedy treats are the perfect solution for cake cravings when you don’t have the energy – or the time – to go gung-ho in the kitchen (or take a trip to the store). For immediate saccharine satisfaction, try this easy-peasy recipe for Nutella microwave mug cake. Tip: Forget cooling your sponge; once the microwave pings, you have full permission to scoff this baby straight away – while the half-melted choc chips are still gloriously gooey. Spoon the Nutella into a cup and melt in the microwave for 20 seconds. Mix flour, sugar, cocoa and baking powder in a bowl. Add the egg and mix well. Add the melted Nutella and toss in the choc chips. Stir until all ingredients are thoroughly combined. Placenta Praevia: What You Should KnowWhen Should I Start Reading to My Baby?